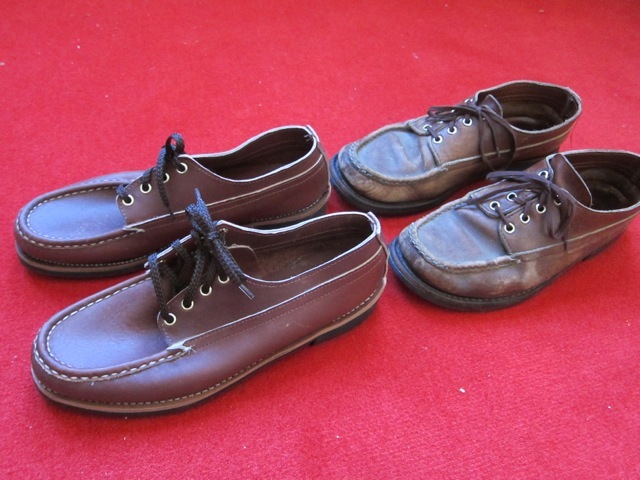 About six months ago I ordered these shoes from Russell Moccasin to replace a pair that is getting worn out. Danielle calls them my aging hipster shoes. Russell Moccasin sends you a pattern where you trace your foot and provide a number of other measurements. They keep this paper on file and whenever you want they'll make a new pair of custom shoes for you, but it takes a while.